Born in Chicago of English and Irish parents, Joan moved to England when the family returned during the Great Depression. She returned to America in 1951. Junior Achievement In 1959, Zimmerman was working for Greensboro public relations agency executive John Harden. The idea for a garden show to be held in North Carolina arose, but Harden didn't have time to run it and Joan was interested. So, Joan and her husband, Robert, started Southern Shows Inc. with John Harden, whose interest they bought out in 1967. Joan ran the company which had its first show, a garden exhibition, in Raleigh in 1960. The company moved to Charlotte in 1962. She served as president of the firm until 1999, when her son, David, assumed that title. Joan is still the CEO of Southern Shows, Inc., which conducts more than 20 major exhibit shows annually ranging from West Palm Beach to Detroit. The shows include the Southern Spring Home and Garden Show, the Southern Ideal Home Show, the Southern Farm Show, the Southern Christmas Show and various Southern Women’s Shows (launched in 1982). 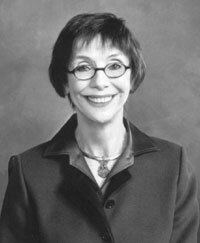 In 1986, Joan Zimmerman was selected as first Charlotte Businesswoman of the Year Award sponsored by Queens University. She has served on board and fund-raising efforts for Discovery Place, Queens University of Charlotte, United Way of Central Carolinas Inc., Presbyterian Hospital Foundation, American Heart Association and the Junior League of Charlotte.